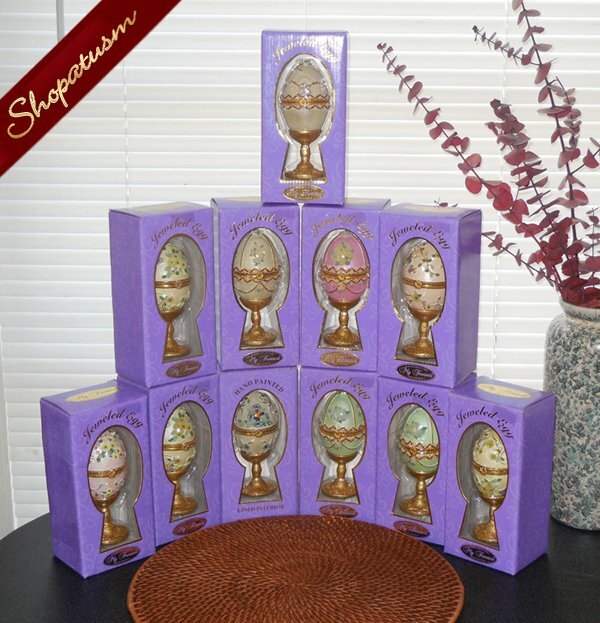 This is a wholesale bulk lot of 11 Hand Painted Jeweled Eggs. These are beautiful raised hand painted in varies of designs and colors. 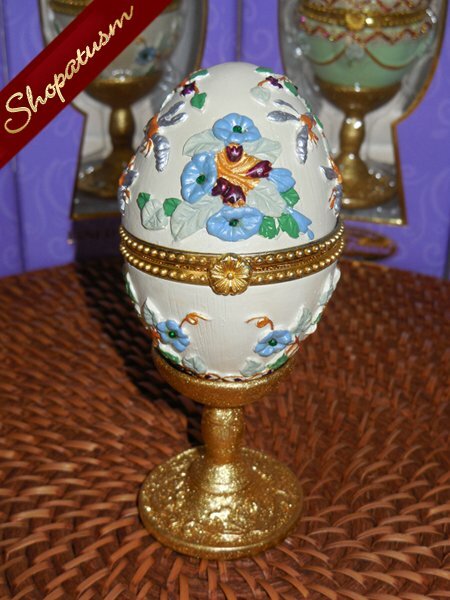 Each beautiful egg is lined on the interior. These would make unique gifts for any occasion. 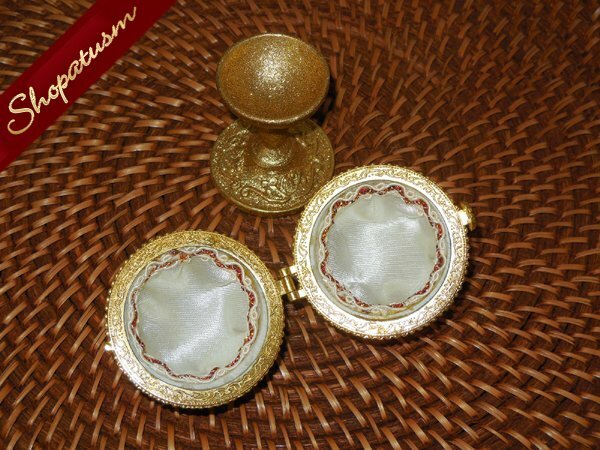 The gold metallic base measures approx 2 inches x 2 inches high. The egg is 2 inches x 3 inches tall. This is old stock inventory so once it's gone that is it..